The temperature has definitely turned more winter like in the last week or so with a wind-chill going to -30C in Edmonton, AB. I have been staying inside and watching the snow fall from the windows. The best thing about the winter season is watching the big snowflakes falling to the ground. It's so beautiful! The next best thing is having that pretty design on your nails. It is a super simple design and the only tool you need is a toothpick. I used Red Nail Polish to go with the holiday season but you can use a nice Blue nail polish as well. Apply a base coat to protect the nails. 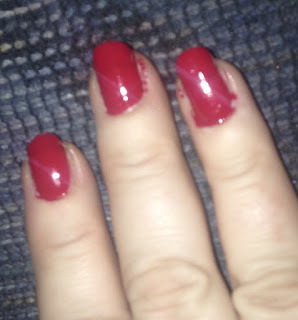 Apply the Red nail polish or your base color. Let dry. 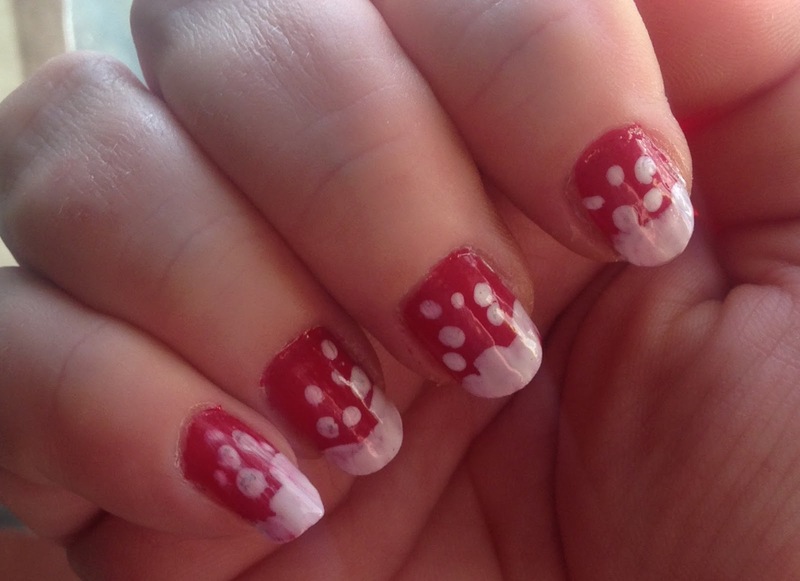 Apply the White nail polish to the tips of the nails, apply different levels to represent snowbanks. 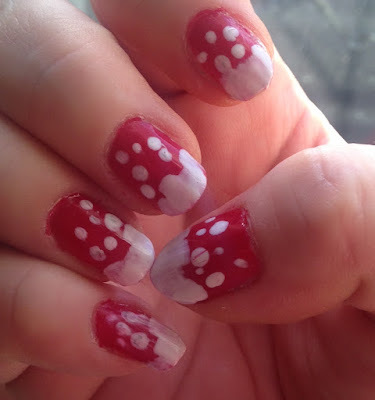 Using a toothpick or a dotting tool dipped in a white polish, make random dots on the nail - Small and medium sized dots. Apply a top coat to give your manicure a glossy shine. on Facebook, Twitter or Instagram.